Forget the Navy — if you want to see the world, join the UFC. More from the MMAJunkie report: It’s a homecoming of sorts for Stann (12-5), who was born at Japan’s Yokota Airbase. It’s the first time Silva’s fought in Japan since 2006, when he was knocked out by Mirko “Cro Cop” Filipovic in the first round of a one-night, four-fighter, open-weight tournament run by the now-defunct Pride promotion. “The Axe Murderer” is 34-12-1 with fights against UFC legends Quinton “Rampage” Jackson (Silva won two, lost one), Chuck Liddell (loss), Keith Jardine (loss), Tito Ortiz (loss) and Vitor Belfort (loss, in 44 seconds, at something called “UFC 17.5”). He’s been a professional since 1996. 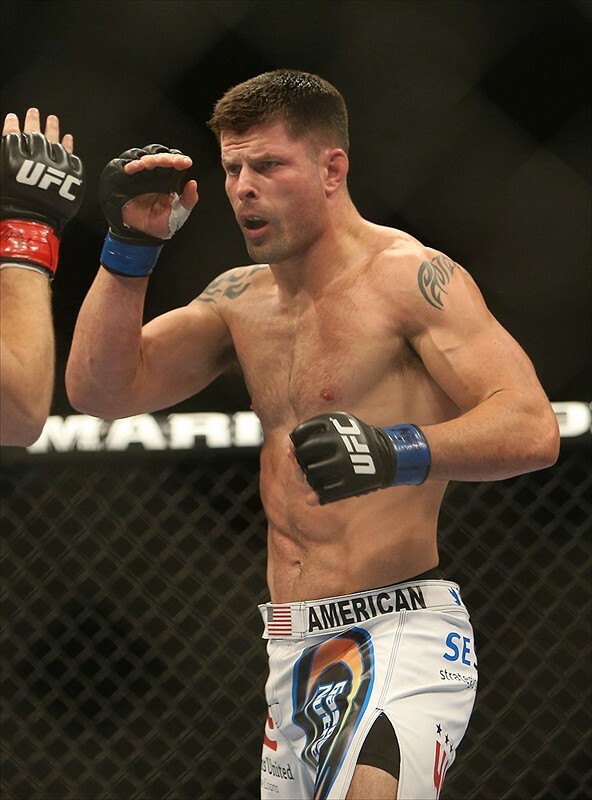 Stann fell to Michael “The Count” Bisping in Toronto in September as part of UFC 152 and defeated Alessio Sakara via first-round knockout at UFC on FUEL TV 2 in Sweden in April. His last fight on U.S. soil was an October 2011 submission loss to pool training partner Chael Sonnen. Silva beat Bisping by decision in 2010; Sonnen and Sakara are among the few fighters not on the veteran’s dance card. Bell time is set for 10 a.m. in Japan, according to an MMAMania.com report — good news for service members with early bedtimes.